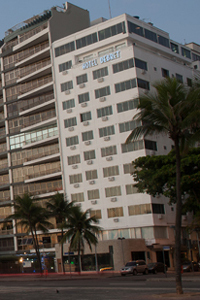 Located in the residential neighborhood of Copacabana and just a few blocks from the beach, the Majestic Hotel is perfect for the business traveler or tourist offering a comfortable environment with all the conveniences of a modern design. 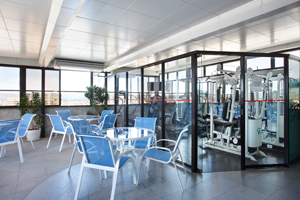 The hotel has two 82 rooms and two suits all featuring, air conditioning, telephones with an outside line, remote controlled cable TV, private safes, and mini-bars. 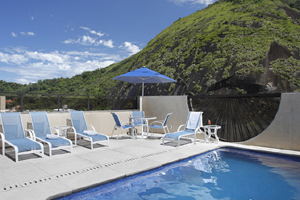 The hotel also has available for the guests enjoyment a swimming pool, sauna, American style bar, and a beautiful terrace with a panoramic view of Copacabana Beach and the surrounding mountains. When would you like to stay at Majestic Rio Hotel ? 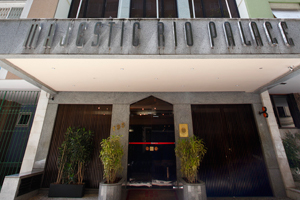 1) Rates at the Majestic Rio Hotel may not be valid during Carnival, New Years, Easter and other special dates.